About the Company: GreenTree Global provides various solutions centered around the concept of energy efficiency and design. This includes Green Building Design & Certification, EPC & Interior Fit-out Scope, Prepaid Energy Meter & Billing Solution. An appreciable number of their clients require very custom solutions which can include elements of System Commissioning, Project Development & Coordination, ESCO Implementation & Performance Contracting (LED & Chiller replacement) and many more. They excel at providing such custom solutions and have a deep expertise on the same. Headquartered in Noida, India and founded in 2009, GreenTree Global is one of the country’s most well respected companies in this domain. They have executed over 250 projects in India, Bangladesh, Kuwait, Nepal, South Korea, New Zealand and Vietnam. These projects have varied in terms of type of work, degree of complexity, degree of customization needed, support requirements etc. An Introduction to Renewable Energy Resources. Solar Energy, Panel Installation etc. Calculation of factors required for Solar Panel Installation. 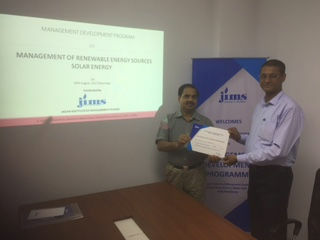 Content: MDP enabled the participants to understand & gain in-depth knowledge on different aspects of renewable energy technologies and financing & sustainability indicators essential for successful implementation of renewable energy programs & projects. 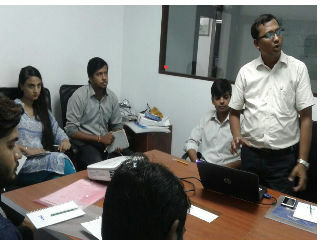 The programme provided subject specific knowledge to energy analysts, channel partners and renewable energy engineers to take up assessment, yield estimation and system design for grid connected solar rooftop plants and also perform basic financial calculations for determining cost of energy from them. 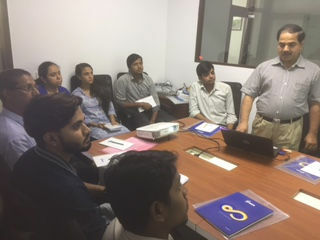 Through interactive discussions and hands on practical exercises, the programme helped the participants understand the concept of Grid Connected Solar Rooftop PV technology pertaining to system components, sizing, designing and simulation using software tools, monitoring and evaluation, business models and best practices. 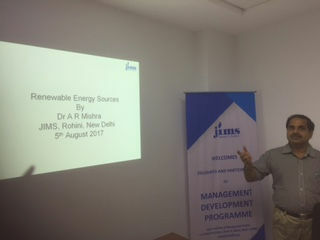 Energy analysts, Research associates and others participated in the programme.